Ready for a travel experience like no other? 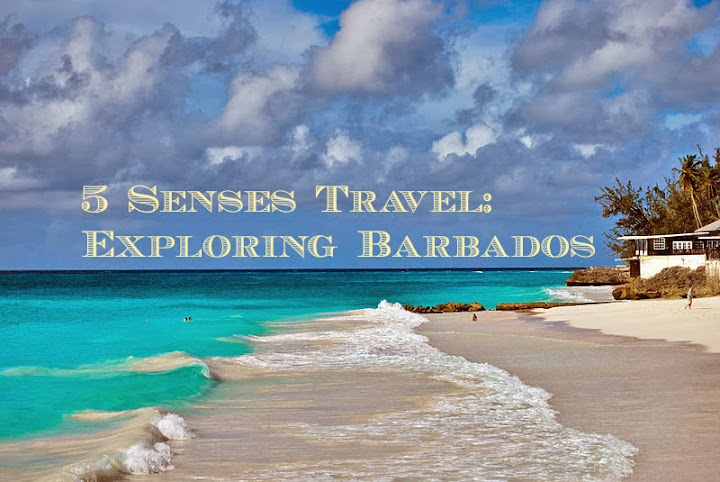 I’m always reminding my students to use the 5 senses in their travel writing, because it packs such a punch in relating a place to the reader. Have you read A String of Pearls: Caribbean Travels and Beyond, and the Diplomatic Dog of Barbados, by our very own Winfred Peppinck? These books provide a great glimpse into the Caribbean – and definitely are inspiring reads. But Barbados, the eastern-most island in the lesser Antilles, is much more than beaches (although they have nearly perfect weather). There’s so much to see and do and taste and listen to! The capital city of Barbados is Bridgetown, so named for the original “Indian Bridge” constructed over the river; after the mid 1650s, a new bridge was constructed and the town renamed Bridgetown. It is the hub of the island – politically, socially, and financially. It has been one of the busiest ports in the world (and has two famous pirates – Sam Lord and Stede Bonnet), had a stable (sugar-based) economy, and was a thriving metropolis. It was also a base for slaving – between 1627-1807, almost 400,000 slaves were shipped there (often reshipped to North America). It was truly a New World, where immigrants recreated their home environments, with clean streets, a tidy town, and plenty of wealth. Barbados gained full independence in 1966, and is a member of the British Commonwealth. Barbados is full of natural beauty. You can see lush gardens, tropical flowers, and wildlife. But there’s also manmade beauty – including the colored houses that are so beautiful and unique. While you’re there, be sure to take in these historic houses with the Open Houses Program, which allows visitors to explore all kinds of houses. You’ve got several options for touch, here in Barbados. The free one is walking the beaches – touch the sand with your feet, and feel your stress melting away. For centuries, people have traveled from around the world to heal themselves with Barbadian sand. Some even buried themselves up to their necks on the beach, to fully heal. Whether you’re walking or being buried, the sand is incredible. If you want more, head to a spa (there are several throughout Barbados; some masseuses even come to your hotel) for a relaxing massage. Count me in! And it’s all about the water, of course. 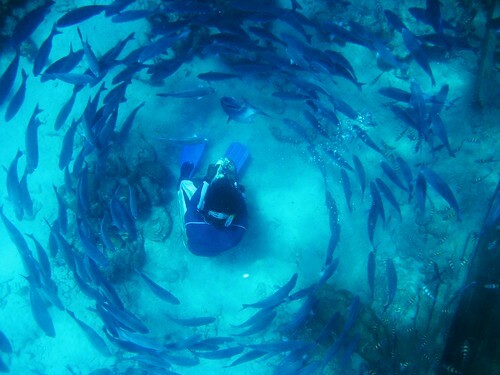 You’ve got 70 miles of coastline in Barbados, clear water, and plenty of marine life. Take advantage of it! Feel the silky water embrace your skin, snorkel or dive to see the beautiful fish, coral reefs, and even sunken ships. Surf, kitesurf, bodyboard, kayak, windsurf, or go fishing – it’s all about being in or on the water. While you can smell the sea breezes, the tropical flowers, and the delicious food in Barbados, it’s really all about the rum, isn’t it? Barbados is the birthplace of rum, first made almost 400 years ago from cane sugar. There are several distilleries, but the first (and most famous) is Mount Gay Rum. Learn more about rum while taking a distillery tour, smelling (and tasting) the deliciousness, or hit up one of the many rum shops around the island. Well, this is what we’re really here for, isn’t it? Traditional dishes include Bajan flying fish, pepperpot stew, macaroni pie, bread pudding, cou-cou (cornmeal and okra), guavas, fish cakes, jerk chicken, fresh seafood, and afternoon tea (try it at Sunbury Plantation for a trip back in time). Delicious! 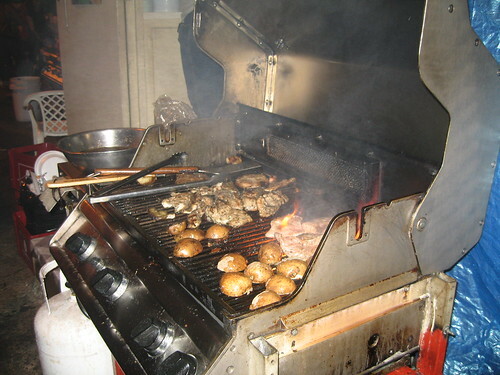 One of the most popular places to eat is at the Oistens Fish Fry. English is the primary language, although you can hear the Bajan dialect all over. One of the friendliest places we’ve seen is the Barbados Beach Club, where families are welcome. There are cultural activities and live entertainment, pools (including an adults pool and a family pool), snorkeling, scuba, diving lessons, windsurfing, kayaking, tennis, golf (and crazy golf! ), and more. Driving is on the left side of the road. There is an extensive network of paved roads throughout the island, and a highway linking north and south. You can get around by hired car, taxi, buses, or by renting a car. The Barbados Dollar (BBD) is fixed to the US Dollar 2:1. You can use US Currency in Barbados, but your change will be given in BBD. It’s very easy to withdraw local currency from ATMs. and your heart will say come again, come again. that tells you, you are safely in his hands. feel the soft warm breeze surround you that makes the red blossoms wave a glad hello. clasp our hands together and my world can not go wrong. then my island will embrace you and hold you till the end.